Thriller lovers rejoice—The Girl Before by JP Delaney is whip-smart and riveting the whole way through. It’s a story that perfectly unravels, taking you on a journey rife with secrets, lies and manipulation. It’s a story shaped by perfection and technology, a story come alive by its complex characters and the treachery they hide. The story unwinds from the perspectives of two women—Emma and Jane—each of whom lived at One Folgate Street. The home was designed by a famous architect obsessed with perfection. For a life unencumbered by things, beautiful through its essentialism and enhanced by a technology that makes one’s life better. Not everyone is right for the extraordinary One Folgate Street, with its long list of rules and its equally enigmatic but demanding landlord. Emma and Jane each had reasons for seeking the comfort the home provided. Emma was victim to a brutal break-in, while Jane suffered a life-changing loss. But then Jane—the latest tenant—discovers that Emma was tragically killed while living there. And as she digs into the circumstances of her death, she unearths troubling secrets and lies. What’s worse is that it becomes clear that Jane is making all the same choices Emma made… choices that could have led to her death. Delaney masterfully juxtaposes the sterile, uncluttered environment of One Folgate Street with the messy, uncontrollable chaos that is human nature. The cast of characters is fascinating, each with secrets they’ve buried deep. Suspicion thrums throughout the entire constantly shifting, multilayered narrative, right up to its shocking and fully satisfying ending. 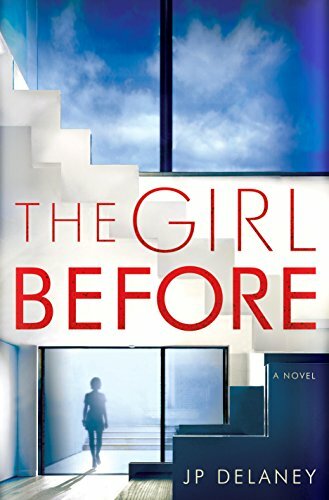 The Girl Before delivers superior psychological suspense—perfectly paced and cleverly crafted. Everyone should read this book.